Regular readers of my blog may recall an earlier post mentioning that Sim Comfort would be bringing out a book on Nelson’s swords. I’ve just heard from Sim that the book will be released mid-March. He’s set up to take pre-orders now. 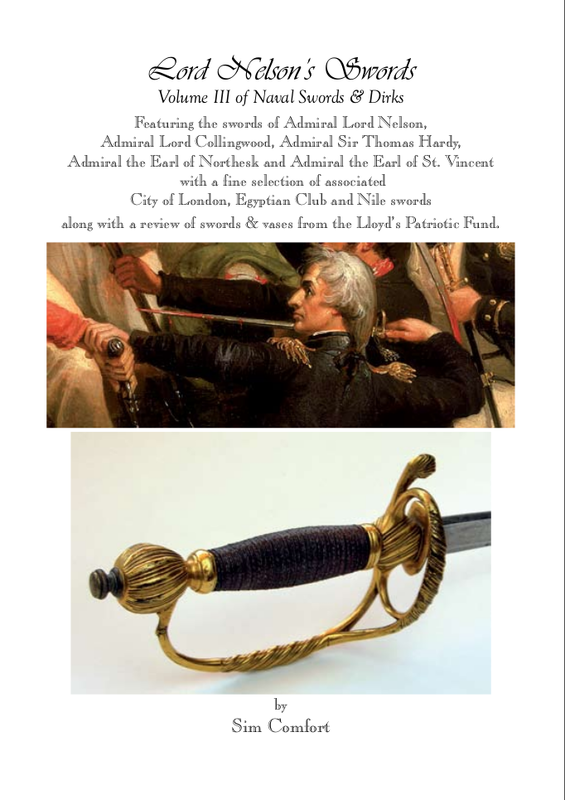 As well as being a stunning compilation of photographs and details of many of the Royal Navy’s most important historic swords this book throws out a challenge: where is Nelson’s fighting sword today? I was under the impression that Lord Nelson actually forgot to wear his sword on the day of the Battle of Trafalgar and in fact left it in his cabin. As you can appreciate as a guide on HMS Victory there is only so much you can retain in the old noggin so I will have to do some research and get back to you. From memory the sword dissapeared and I was under the impression it possibly remained in the possession of his friend and prize agent Alexander Davison and yet I recently heard it went down on HMS Victoria. Guess we might never know in the end. Bob – prefer to have orders via email julian@julianstockwin.com Thanks. By the way, the new book’s called PASHA. Didnt Nelson hoard a lot of his relics in his house? I remember hearing a podcast to that effect. I know he stored a lightning conductor from one of the enemy ships destroyed in one of the battles. I attended a talk by a lady who gave us an account of her time at the National Maritime Museum. She discovered an old case, opened it and found Nelson`s pigtail. Grey on the outside but when turned over it was golden. If that was discovered in the Museum I wonder if there is anything else there yet to be unearthed like the sword?